New Delhi: To help mitigate growing pollution levels in the country, the government has tightened air pollution norms, especially for industrial clusters. Announcing this on Wednesday, the ministry of environment and forests (MoEF) also added six new known pollutants to the standards. The government move recognizes the rapidly expanding industrial landscape which is resulting in their locations overlapping with residential areas. Experts believe that most cities in India will fail the new norms, forcing them to take steps to curb pollution. “We have had lower standards for industrial areas for very long. 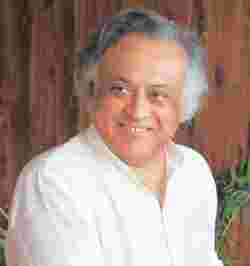 Now we will have high penalties for non-compliance," said Jairam Ramesh, minister of state, MoEF. The MoEF will notify the penalties later and the apportioning will be based on the “polluter pays" principle. To fix responsibility, the ministry is undertaking a study to determine the sectoral contribution to pollution. The minister conceded that enforcement and monitoring are the real challenges and that the National Green Tribunal and National Environment Protection Authority are steps in that direction. “This was long overdue as air quality has a direct bearing on public health. There has been rapid expansion of industry and increase in vehicles, which have increased pressure on environment. The new standards are almost at par with the 2008 EU (European Union) guidelines," said Rajneesh Dube, joint secretary, MoEF. The president of the Society for Indian Automobile Manufacturers (Siam), Pawan Goenka, maintained that it was “too early" to comment. Apart from one standard for residential and industrial areas, there is a separate, more strict standard for ecologically sensitive areas. Existing norms for residential areas for fine particulate matter, which are suspended particles in the air, carbon monoxide and ammonia have now been extended even to industrial areas. At the same time, the new norms include fine particulate matter as a pollutant. “Finer particles are more relevant to public health as these are the reason for most respiratory problems," said Dube. He added that the auto fuel policy is being looked at. This will tackle the supply of clean fuels and the transition of vehicles from older to newer standards of pollution, which needs to be expedited in medium-class cities. Eleven cities will move from Euro 3 to Euro 4 in April. Six known pollutants— ozone, arsenic, nickel, benzene and benzopyrene and fine particulate matter—have been included in the list for the first time, based on research by the Central Pollution Control Board (CPCB) and the Indian Institute of Technology, World Health Organization guidelines and EU limits and practices. “Volatile organic compounds (such as benzene) are very critical pollutants and nickel and arsenic are products from fuel impurities. “These are toxic even in nanograms," Dube said. Limits for pollutants, which were already on the list, such as SO2 (sulphur dioxide) and NO2 (nitrogen dioxide), have been made more stringent for residential areas as well. The standard for oxides of nitrogen has changed from 60 microgram per cubic metre to 40. “With these current limits, most cities will fail" the norms, said Sunita Narain, director, Centre for Science and Environment, a Delhi-based environment lobby group. CPCB, in the next five-seven years, will strengthen its monitoring capabilities and increase the number of monitoring stations. Mercury has not been notified in the revised standards and the MoEF is working towards rectifying that.